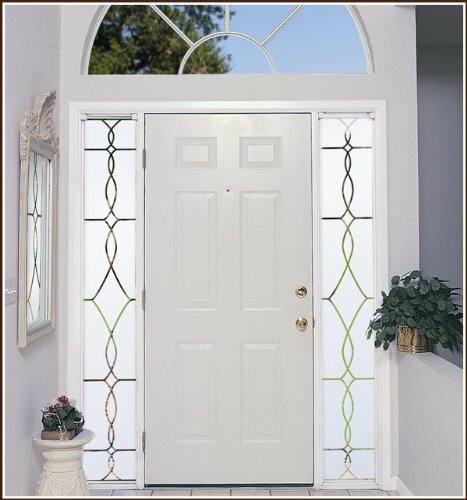 The classic simplicity of the Allure etched glass design creates a stunning look for sidelights, French doors, and transom windows. Our Allure etched glass design significantly improves privacy while allowing for some visibility through the glass. Filters 95% of UV rays and helps to save energy (cooler in summer, warmer in winter). The adhesive-free window film is easy to clean and will look great for years, backed by a 3 year warranty. This design is sized at 16in x 74in. Adhesive-free film - no mess, no fuss. Clings to any smooth, non-porous surface. Installs in minutes and Looks great for years! Easy to clean with just soapy water. Allure Etched Glass is a Semi-Private design. It has a Frosted, White background with 1/4" CLEAR lines that allow some visibility through the design. If you have any questions about this product by Wallpaper for Windows, contact us by completing and submitting the form below. If you are looking for a specif part number, please include it with your message.